Jobs, whether fulltime or part-time, often do not provide more than a gainful source of employment to many people. People often take up jobs that are not a good fit in terms of their skills vis-à-vis their duties and responsibilities. However, having a job only satisfies their short-term and immediate requirements. It does nothing to improve their job satisfaction levels, their ambitions or even, their long-term goals. As a result, several people often find themselves becoming frustrated at their inability to make strides in a career of their choosing. In an attempt to rid themselves of a stagnating career, many people decide to start their own businesses. They do the necessary market research and make the necessary investments. Some of them even take a business training program online. This helps them to understand the finer points of running a business enterprise. Occasionally, they might even get their staff to go through various sales courses online for boosting the ability of their employees to close sales. However, after some time, the sales hit a plateau and the novelty of the business begins to diminish. At this point, many business owners lose the plot and start panicking. Keeping your business on a steady course towards consistent performances is not easy. In a dynamic business environment, you need to be constantly on your toes to ensure that you have covered all your bases. This clearly involves more effort than managing supply lines, inventory and marketing strategies. It also involves calibrating your workforce and aligning them accordingly. This would help in ensuring that everyone in the organisation works to achieve a common goal. Ensuring that your workforce acts as a cohesive unit is often not easy to accomplish. In addition, because the market is dynamic in nature, you need to ensure that your employees are aware of the latest developments taking place in your business sector. This would help them capitalise on the latest trends in consumer behaviour and adapt their sales strategy accordingly. In short, they need to keep themselves upgraded according to the changes taking place in the market. This is where business courses play an important role. They help in updating your staff about the latest developments in the sector. They also help them fine-tune their sales and operational strategies for greater effectiveness. 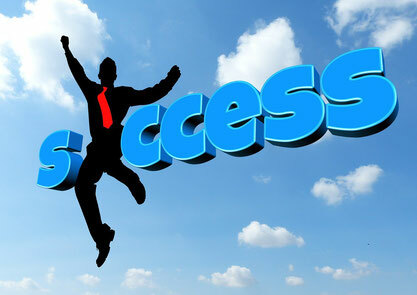 Thus, they ensure that your business continues to make steady progress towards achieving its objectives. However, you cannot keep pulling your staff out of production and putting them into training. This would affect the efficiency of your business. In these circumstances, the best recourse is to give your staff access to business and sales training online. This is not only viable, but also cost effective. Business training is an effective way to refine the existing skills of your staff. In addition, it also helps in introducing new skills and concepts to your employees. Business training helps in making your staff and management more skilled and confident, especially when they discharge their daily duties. It enhances the leadership and organisational skills of your management staff too. This helps in improving the efficiency levels of your business, while making optimal use of all your resources. By itself, business training is a broad umbrella, comprising various forms of training. It includes trainings that range from imparting vocational skills to those that fine-tune business-oriented skills. Business training could also include courses like induction training, on-the-job training and off-the-job training. Alternatively, it could include specialised training courses such as presentation skills, IT skills, communication skills etc. What are the Benefits of Giving Your Staff Access to Regular Business Training Sessions? Regardless of the business sector you work in, your employees are your most precious resources. They are the ones who generate sales and interact with customers. They also aid in the production of goods or the provision of services etc. Therefore, when you invest in your staff, your business can only benefit. Are You Looking for Accounting Training Online or a Customer Service Course Online? As mentioned earlier, training courses can enhance the effectiveness of your employees. But, you need to have a reliable vendor who can provide quality training to your employees. That too, a vendor who can deliver programs ranging from a real estate licence course to an OH&S training program. The Australian Salesmasters Training Company delivers innovative products and services to its clients. We have a team of accredited facilitators, who deliver modules based on various skills and techniques. They make it easier for your staff to apply the learnings gained from the program in their daily work. To learn more about the courses we offer, call us at 02 9700 9333.